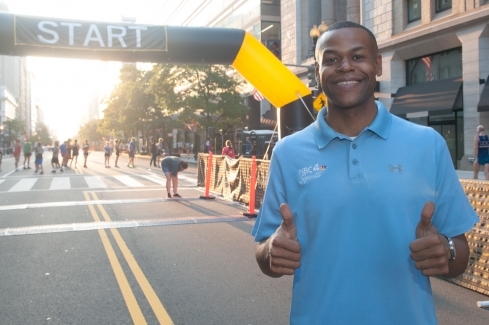 Race Official Jason Pugh of NBC4 approves of the preparations for the National Press Club's Beat the Deadline 5K. 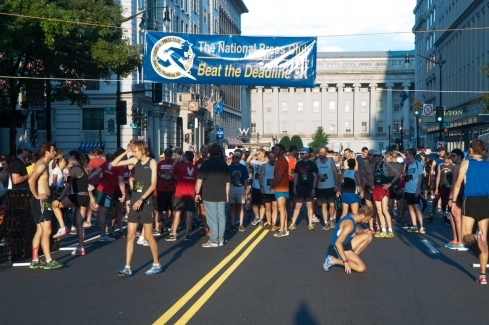 Runners gather near the starting line of the National Press Club's Beat the Deadline 5K race, September 6, 2014. 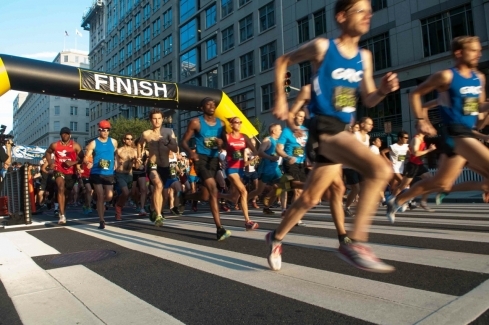 Runners leave the starting line of the National Press Club's Beat the Deadline 5K race, September 6, 2014. 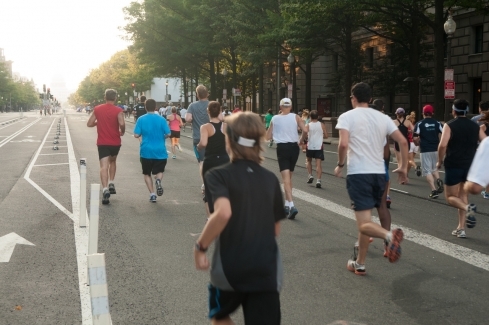 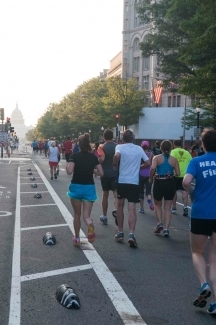 Runners race towards the U.S. Capitol Building on the first leg of the National Press Club's Beat the Deadline 5K race, September 6, 2014. 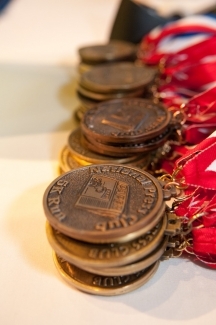 Medals await the winners of the National Press Club's Beat the Deadline 5K race, September 6, 2014.